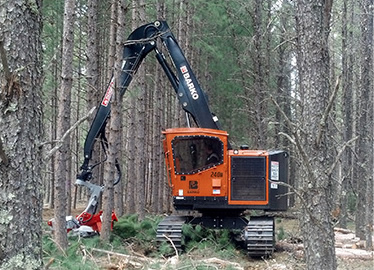 Incorporating input and expertise from leading engineers, end-user customers and other forestry professionals, Barko tracked harvesters are purpose built from the ground up to provide exceptional performance. 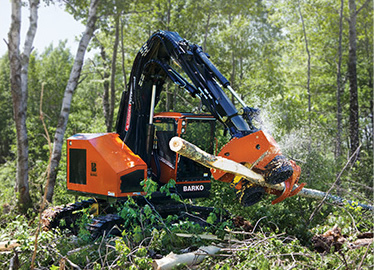 Offering an efficient combination of brute strength, customized hydraulic controls and simplified service features, Barko harvesters are the most powerful machines in their weight classes. 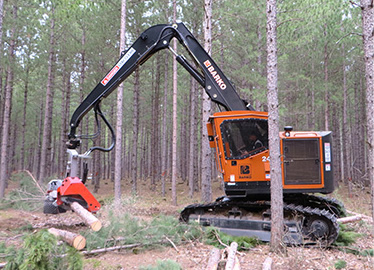 The Barko 240B-H tracked harvester offers superior drawbar pull and high tractive effort and to get around in the forest. 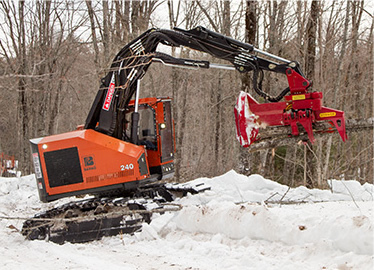 Offering a peak torque increase of 10% over the previous model, the 240B-H is packed with power to get the job done. 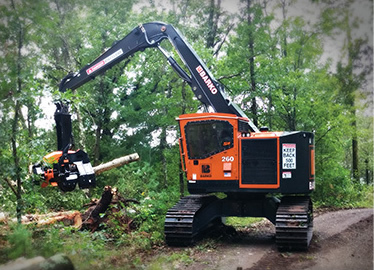 Purpose built to simplify routine maintenance tasks and provide superior power and strength in tough harvesting conditions, the Barko 240-HRV tracked harvester is loaded with features for enhanced operation. The Barko 240B-D harvester provides impressive drawbar pull of better than 1.3 to 1 ratio, allowing it maneuver across tough terrain with ease and increase harvesting efficiency. 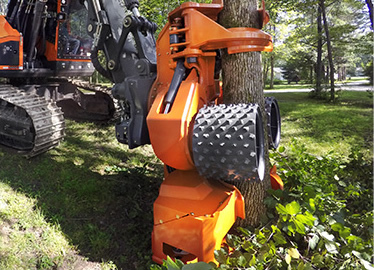 Among the most powerful and dependable machines in its weight class, the 240-Dangle tracked harvester is engineered with direct input from forestry professionals. The Barko 260B-D tracked harvester has a D7A undercarriage suitable for use with larger harvesting attachments. 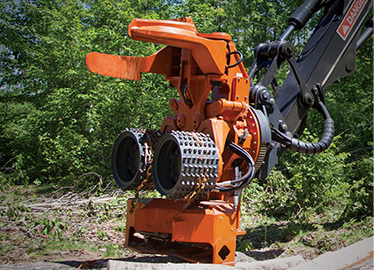 The machine provides 10% more torque than its predecessor, allowing it to make even quicker work of tough jobs. 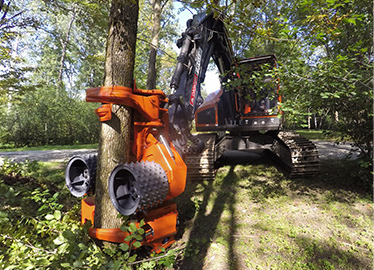 Driven by a powerful engine and providing 1.13 to 1 ratio drawbar pull, the 260-Dangle tracked harvester gets around the forest with ease, allowing users to tackle big jobs quickly. Featuring a patent-pending design equipped with IQAN control system, onboard valving and center hose routing, the Barko CF18 fixed harvesting head provides speed and productivity for a variety of cut-to-length jobs. 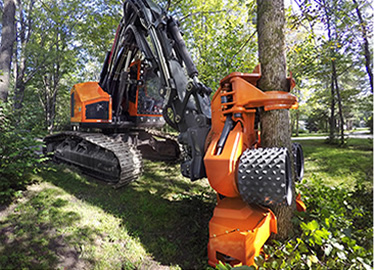 Designed with a larger saw bottom to improve controllability of larger diameter wood and longer tree lengths, the Barko CF22 fixed harvesting head delivers exceptional shearing power, even on tougher trees like hard maple. Offering big production with a smaller footprint, the Barko 240-FB tracked feller buncher provides superior swing torque and incredible track power that allow it to exceed the performance of some larger competitive units. 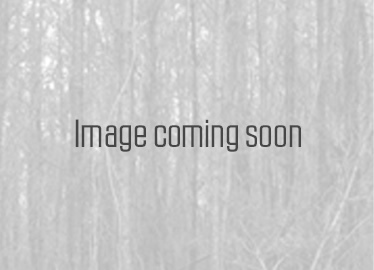 The Barko 260B-F tracked feller buncher has a D7A undercarriage suitable for use with larger attachments. 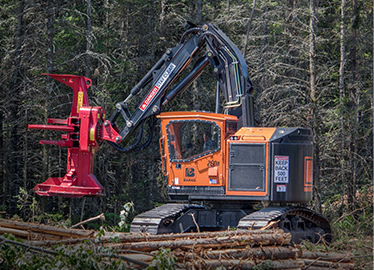 The machine provides 10% more torque than its predecessor, allowing it to make even quicker work of bigger jobs. 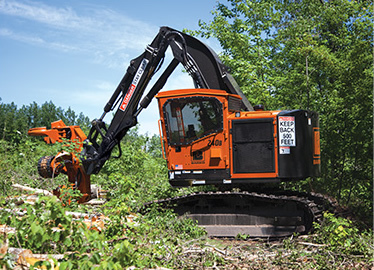 260B-F Driven by a powerful engine and smart features that help reduce operating costs, the 260-FB tracked feller buncher offers the strength and efficiency needed in hot saw applications.